John White was born in Liverpool, England, on March 5, 1924, and grew up in Manchester. After serving as a reconnaissance photographer in the Fleet Air Arms during World War II, he completed medical training at Manchester University. He later participated in a variety of short-term missions efforts (including Bible smuggling!) and captitalized on many opportunities to encourage Christians behind the Iron Curtain during the beginning of the Cold War. On June 25, 1955, White married Laureate May O'Hara. From 1955 to 1964 he served as a medical missionary with New Tribes Mission. Later he was appointed associate general secretary of the International Fellowship of Evangelical Students of Latin America. White emigrated to Canada with his family in 1965 and later completed his residency in psychiatry in Winnipeg, Manitoba. He next filled the post of associate professor of psychiatry at the University of Manitoba and also served locally as pastor of Church of the Way. He wrote 25 books as well as numerous articles and study guides. A much sought-after speaker, he lectured around the world at churches, conferences and leadership events. During his later life, White moved to Vancouver, British Columbia, helping to plant a Vineyard church there (Surrey Vineyard) and becoming involved in the larger Vineyard Christian Fellowship. 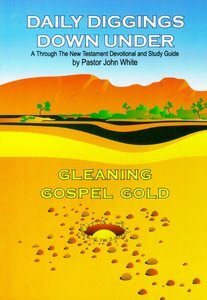 John White died in 2002, but his written ministry lives on, with over 1.5 million of his books in print.